McALLEN — A 21-year-old Austin man is behind bars tonight after leading police from multiple cities on a high-speed chase across the McAllen metro area. 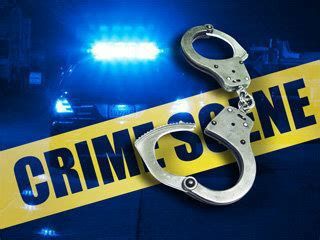 The incident occurred Monday afternoon around 3:30 p.m. when a McAllen resident returned home to find his house “ransacked.” The man then followed the suspect to the 11000 block of North 29th Street, according to a McAllen police news release, at which point police arrived. As two officers attempted to approach, the suspect — whose identity has yet to be released — sped off, “[charging] at them with his vehicle,” according to the release. Despite a police officer firing his weapon at the vehicle, the suspect continued to flee, eventually losing police. Edinburg police ultimately located the suspect’s abandoned vehicle about an hour later in the 3300 block of North Christopher Lane, and McAllen police officers apprehended the suspect nearby. Charges against the 21-year-old are pending. Police believe the vehicle — which the release describes as “possibly a new model white corvette with black stripes” — was stolen in Austin and driven to the Rio Grande Valley.